Posted by Amie Lawrence, Ph.D. In the last blog in this series, we discussed implicit biases and how all of us are susceptible to them. Remember they are unconscious and, unlike explicit bias, we are not likely to be aware of when we are being influenced by societal norms and factors like gender, age, and race. Because of this, the effects of implicit bias can be more subtle and indirect. To better understand how these implicit biases are hindering women from moving up and becoming leaders, it’s important to look at patterns of behaviors that undermine women leadership movement. Ibarra and colleagues discuss some of these behaviors and use the term “Second Generation Bias” to describe them. Let’s first reiterate a point from the last blog around the effects of the double bind. When women “act like leaders,” they are often seen as unlikable because of the incongruity between the female societal gender role (e.g., communal, compassionate, caring) and the agentic leadership behaviors that she demonstrates as a leader. On the flip side, women who choose to act more feminine in their leadership role (more in line with gender role) are seen as less competent and do not receive as much respect. If an organization doesn’t change its policies or work to change the perceptions of leaders within the organization, women are likely to be passed over. It can feel like a lose-lose situation for many women leaders. 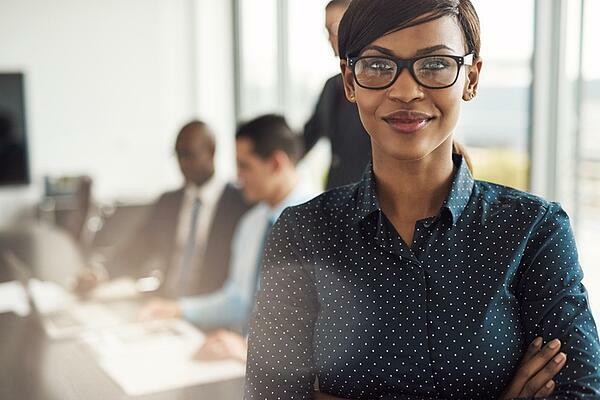 In a nutshell, women tend to feel less confident in their abilities and are less confident in their ability to achieve an executive leadership role, according to a McKinsey report. Further, research has shown that women tend to rate themselves less effective than others see them, while men tend to rate themselves as more effective. This lack of confidence can result in women sitting back and not seeking out leadership roles and/or being perceived as “not leadership material.” Another study by McKinsey, Women Matter, investigated factors that affect one’s confidence in being successful at reaching a top management position. The results showed that corporate culture is the most important driver for women’s confidence in success – twice as much as individual factors. Even competent women are affected by their environment and a change to receptiveness can make a big difference in willingness to reach for an opportunity. When there are few women in leadership positions, it sends a message to the rest of the women in the company that the roles are less attainable. Additionally, mentorship can boost careers through the exchange of knowledge and networking with other areas of the organization. When there are fewer women role models and/or mentors to help aspiring women understand how to navigate the organization and gain social capital (Neal, Boatman, & Miller, 2013) there are fewer women to move up. Additionally, women tend not to seek out mentorships and women in leadership positions aren’t frequently asked to be formal mentors (Neal et al., 2013). Organizations can help encourage more participation by women (both protégé and mentor) by creating formal mentoring programs. In general, it is more difficult for women to network and gain access to the most influential leaders within an organization (Barsh & Yee, 2012). Formal mentoring would be a great first step forward in helping to close this gap, but research also shows that men and women receive different levels of mentorship. These researchers concluded that men are more likely to be “sponsored” by their mentors than women, meaning men receive greater exposure to executives and their mentors use their influence and act as their advocate. Sponsorship places the employee in a much more favorable position for future promotions, etc. Another study examined the type of leadership roles that were assigned to different high potential leaders by gender. High potential men were more likely to be assigned to highly visible projects with larger budgets. Men had more than three times the staff as women and their projects were considered higher risk than those assigned to high potential women. Even when women are identified as high potential they may receive lower quality support and development than their male peers. In many organizations leadership career paths require that aspiring senior leaders take on different roles throughout the organization and this often means relocation, frequent travel, or other sacrifices that keep employees away from their family. These paths and expectations were created during a time when the “traditional” family included a male full-time worker (primary breadwinner) and a flexible, often unemployed, spouse (primary caregiver). Times have changed and now women make up about 47% of the workforce and the number of double income households has increased to 46% in 2015 from 31% in 1970. The same Pew study showed that, in 2015, only 26% of the workforce included a male full-time working parent with the other parent unemployed; in 1970 this number was 46%. The opposite scenario, female FT working parent and PT or unemployed spouse, was 6% – much more uncommon. And, women are continuing to identify themselves as the primary caregivers in the family despite their working responsibilities (Barsh & Yee, 2012). Regardless of gender, the increase in dual income families should enlighten organizations and motivate them to restructure their expectations and policies to better fit modern families. Current expectations could inadvertently limit women and more family-oriented employees. turn down a promotion due to personal life choices and family obligations. Organizations can remove some of these barriers. In a future blog we’ll talk about ways that organizations can increase gender diversity among its leadership. In the meantime, examine your workplace and think about how Second Generation Bias may be at play within your job and/or organization. If you’re a woman, be introspective, look at your own behavior and determine if you are underestimating yourself or shying away from opportunities. Speak up, find a mentor/sponsor and fight for a better opportunity. Let’s work on overcoming these implicit biases and educating others along the way. Amie is the Manager of Product Development at Select International. She is an expert in the design, development and validation of psychological assessment tools. 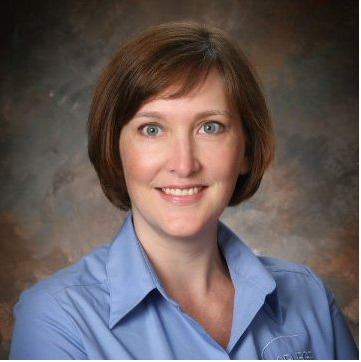 An integral member of Select International since 2000, Amie has led the development of numerous competency-based assessments, including online in-baskets, job simulations and motivational fit instruments. Discover the cost-saving benefits of hiring the right employees, the first time. If you need assistance applying for a position with one of our clients, please review these Frequently Asked Questions. © Copyright by Select International, Inc. All Rights Reserved.